DRTV is a terrific way of getting customers to get in touch directly – far surpassing the reach of pretty much any other marketing channel, online included. You can reach millions of people instantly with product, phone number and website. DRTV is one of our specialisms at Hightower. We have produced attention grabbing direct response campaigns for many years, extremely cost effectively. It allows companies big or small to enter into a market where you can reach a huge number of customers geographically and to very specific niches. example would be ITV3 which caters for 40 plus viewers, ITV4 men under the age of 40 and MTV which caters for under 30s. DRTV’s history goes back to the 70s in (inevitably enough) the United States. There are two forms of DRTV – long and short form. The longer form became fashionable in the 80s, with the explosion of TV channels on cable in the US. Lowering production costs and the fact that there was so much air time to fill on these cable channels ushered in the “infomercial” boom – with TV adverts lasting as long as an hour and more. These came later to the UK and tend to feature in the early hours on digital channels. Short form (less than two minutes) had a similar gestation period – coming to the UK at a similar time. 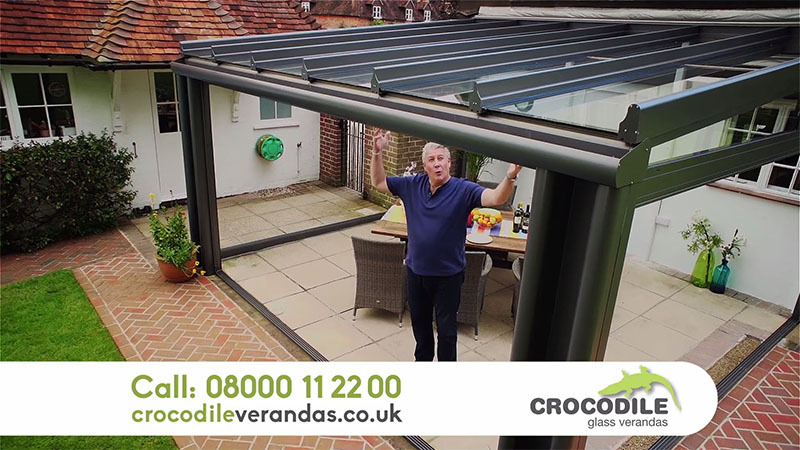 The format itself usually features a call to action all the way through the advert. This differentiates itself from brand advertising and encourages customers to click through to a website or call a phone number to buy product. How is DRTV production different to making a normal TV advert? The process can be smaller and more cost effective than a brand TV advert. Otherwise the process is very similar. Make sure you work with a reputable production company who takes DRTV as seriously as we do here at Hightower. The process of creating and producing a DRTV advert isn’t too different to a TV advert production, the main difference is the skill set of the people you employ. It’s very important to work with a production company and creative team with experience in this particular flavour medium. The first (and potentially most important) factor is employing a creative director and script writer who can create a script and concept that really appeal and draw in the core audience. DRTV is all about grabbing the audience and making them impulsively pick up the phone or jump on the website. We have a decade’s experience creating DRTV and work with only the best creatives to ensure that the concept and script are killer. One element that frequently works for DRTV is to engage the services of a celebrity, whose fame factor can really draw in the prospective client. The celeb should have a background easily associated with your product so the association reflects well on the brand. From this point the producer will work with the client to put the shoot together, it may be studio based or filmed on location. Location filming is always a challenge in the UK of course! Factors like rain and failing light have created plenty of fun on our TV advert shoots before now! Modern DRTV doesn’t skimp on production values – and it’s certainly post where we at Hightower can make a DRTV production look fantastic. We work closely with the client through the post production process to ensure the advert will look terrific. This is bolstered by our skills with motion graphics and CG animation. The process generally includes two or three rounds of editorial changes to make sure everything looks perfect. With DRTV it is important to refresh the advert quiet frequently. This is to take advantage of summer sales and offers, which increase take up from customers viewing on the TV. We ensure we are always available at competitive rates to create versions of our adverts – frequently with tight deadlines. How much do DRTV adverts cost? DRTV adverts generally are more cost effective than brand TV adverts, it is very dangerous to give a ballpark because there are THOUSANDS of variables. It is best to get in touch with us by phone or contact form and we can discuss further. Is it worth including a celebrity? Budget depending, it can be a very canny idea to employ a celebrity for your DRTV advert. Celebrities can provide instant authority to your brand, which has probably never been seen by so many customers before. How much do celebs cost? This is another “how long is a piece of string” question – it really depends on their current exposure and fame level. We have worked with celebrities who have charged everything from £5k all the way up to £500k!